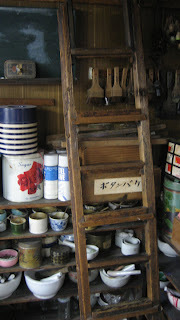 Queen Anne's Revenge Press: Japan! Hardly a surprise but: Japan is amazing! I traveled with friends Mariko Jesse, Yoonmi Nam, and Mari LaClure. My daughter, Helen Blue, has been studying Japanese at Middlebury College and traveled with me as well. 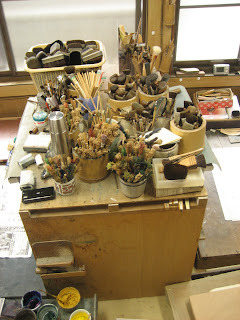 We were invited by Kyoko Hirai to visit Sato's print studio in Kyoto. Kyoko is one of two professional women printers in Kyoto (there were three, but one of them is a new mother and currently not printing as a professional). Kyoko is a generous person and a fine printer. Kyoko Hirai, printing the traditional Japanese technique of water-based printing called mokuhanga. 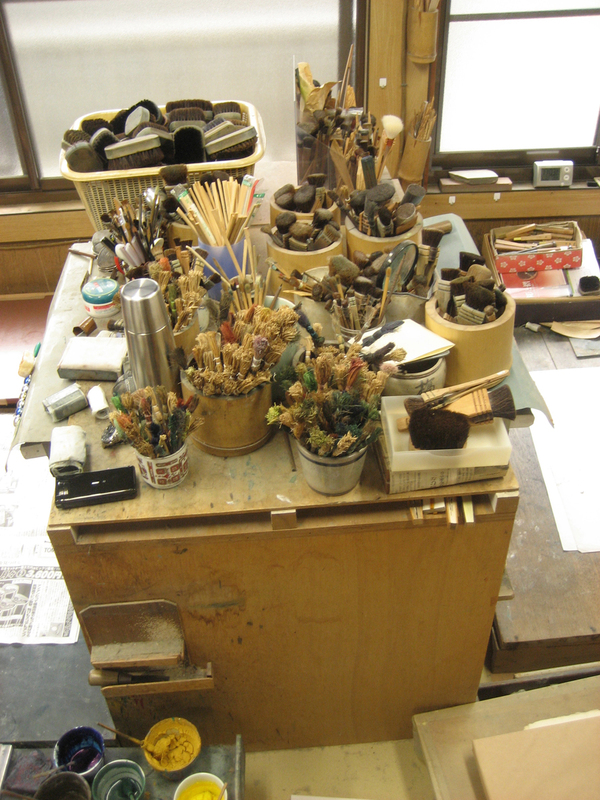 A handful of images from Sato's studio, where Kyoko works as a professional printer. Exciting :D Can't wait to read future posts about your trips & escapades! Those little Peep-esque treats look like a cross between peeps, pears, and pottery. So excited that the marvelous Miss Katie Baldwin has a blog!